Rated 511 points - posted 9 years ago by BrendaKaye in category Technology. Tried it and my Engine Performance improved and I never had any issues related to noise acceleration and smoothness.. I love it. Very good fully syntactic 5W 30, my engine never been better!!! Smooth running, good milage 25000 with no issues. And I think only if they can reduce the price. I strongly recommend you to try this oil.. I started using this Oil 5W-30 six years back, and since that time my enigine became less noisy and smooth, and the car tend to be more responsive, it is really a good Brand.. I am using TRIATHLON® ENGINE OIL SYNTHETIC 5W-40 more than 3 years now, average mileage of 10000 km and it is great stuff.. This German Company is not a manufacturer of Oil engine but, their engine oil is very high performance and i trust this supplier because they have a good reputaion, but i agree with the comment below that they are expensive. I Agree With You!! but the price is very expensive.. I prefer this Oil For my MB.. I tried many, but this one fits my engine performance without any issues. Great performance motor oil i bought from the market but it's expensive more ..
One Of The Best engine Oils I have ever used for real..
Been around for decades if not longer and this has proven to be one of the best motor oil brands. Valvoline might be the best if you never used anything else. Liqui Moly, Pentosyn, Ravenol are all Group VI synthetic oils, far advanced compared to any American oil. Valvoline used to be a "Pennsylvania" crude oil like the much hated Pennzoil. 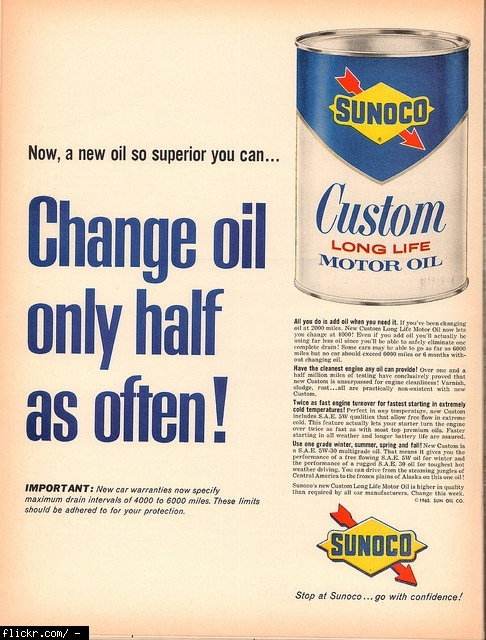 Later manufacturing methods and modern additives have improved the quality and durability of todays motor oils. I have heard much about oils like Kendal and royal purple but from personal experience (I have rebuilt engines with differing oil brands) and use Havoline in my own vehicles with great success and engine longevity. I have torn down engines with 200,000 miles that have used Havoline and they are quite clean with minimal wear on frictional surfaces. Hope this helps someone considering to keep a vehicle for long term ownership. I have a caddy srx and it used a full quart of Mobil 1 every 1500 miles. After switching to regular Havoline 5W20 the consumption dropped to less than a quart every 2500 miles. Also the filter was way cleaner (I cut the filter element apart to look for debris, esp. carbon buildup ie. chunks). I've gone through the comments, and it seems that most users are quite pleased with the performance of Valvoline engine oils, yet others are very disappointed. Could it be that Valvoline, as a large and widespread brand is more likely to be exploited by counterfeiters, that some of the oil bottles out there do not contain the real deal? This makes me wonder how I as a layman can tell the difference, Maybe I need to think twice about WHERE I buy oil hereafter. TRY RAIMOL OIL..this is what your engine needs. My Car Just Burns Massive Amounts Of Oil While Using Valvoline. Don't Get That Problem With Kendall Or Castrol. I used to be a race driver some years back and the best oils I ever tried in race cars, were Valvoline Synpower range, Total Quartz 9000 range, Motul Competition range and from the Castrol range only the Syntec 5W-50. Anyway Valvoline is a great brand and for the normal cars Durablend and Maxlife are exceptional oils. Valvoline has the a low TBN number compares to other oils. Better off to use Pennzoil, Formula Shell, Quaker State, Castrol, as all of these have a higher TBN rating then Valvoline. In fact Valvoline barley passes API testing requiring a TBN of 7.4 to pass with a SM rating. Valvoline scored 7.4 while other oils like the one's I mentioned scored 8 or higher. Valvoline SYNPower full synthetic meets or exceeds more of the special engine oil specifications of GM, Ford, Chrysler - more than Mobil 1, Pennzoil, or Castrol synthetics. 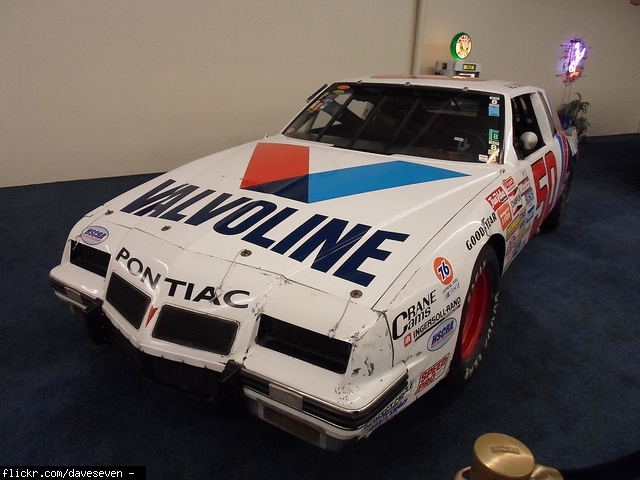 Valvoline SynPower 5w-20 exceeded GM Dexos 1 specifications long before Mobil 1 or Pennzoil. Also, my Corolla has 200k miles and only ONE oil produces a very significant drop in engine operating temperature - Valvoline - conventional AND synthetic BOTH do this. I hear it is because their wear additive/ friction reducing agent is better and last longer. Valvoline is best. Ive blown up four engines on valvocrap oil. Between mobil one and lucas oils i have zero engine failures. We run hard, engines rangeing from n/a fours to supercharged eights. I'm an automotive student at Northcentral Technical College. I started taking automotive classes my sophomore year of High school. 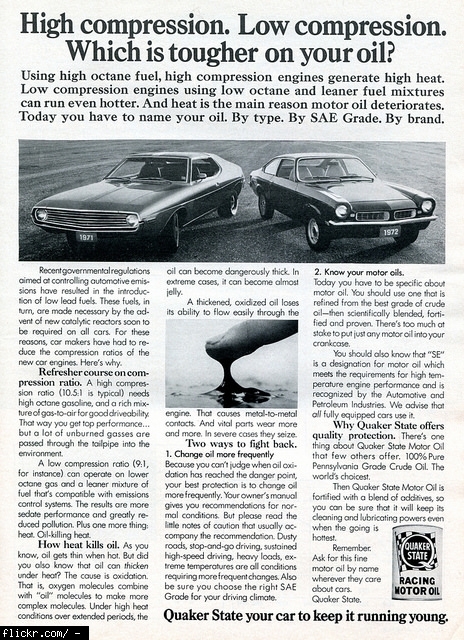 One of the first things we were taught was that Valvoline was top quality motor oil. Since then, I've done much research and have learned that what I was taught was correct. I've been in countless debates over which motor oil is best and lets face it, Valvoline wins every time. If it's not Valvoline, it's just oil. My 'Shell Rapid Lube' just changed to Valvoline. I googled Valvoline and am very impressed with the rating: #1 out of 40+ available oils. I think I am going to like this transition -- after spending long relationships with Quaker, Pennzoil, Castrol GTX, Shell oil and now Valvoline. (Most disappointed with PA oils, particularly Quaker, experiencing blown valve with dried, black, crusty Quaker oil in there! 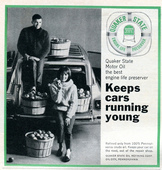 Engineer turned me to Castrol, saying Quaker spends on advertising; Castrol on engineering. I like the idea of Valvoline! Amsoil is KING of synthetics and their filters are top shelf. You get what you pay for. Yes i use Penzoil Active G5 S/N rated oil works great on my engine and its prety cheap too...! First motoroil brand in the world and still is the number 1 in the world. In my older car I used the MaxLife 10W40 and in my new car I use the SynPower 5W30, never had any problems and the engine looks as clean as if it came out of the factory yesterday. VALVOLINE SYN POWER 5W30 in my engine OMG BEAST absolute BEAST... BEST EVER!!! I used all the other brands But when i put this in my car I felt LIFE, POWER, SMOOTHNESS and PERFECT for EARLY MORNING start up espcially in the cold it warms up so fast!!! I really like this oil because of it's efficiency. Good brand. I have used Valvoline conventional oil off and on throughout the years. My brother that is a auto engine machinist swears by it, but I have had better results with Castrol GTX. Not as good as it use to be but, good! 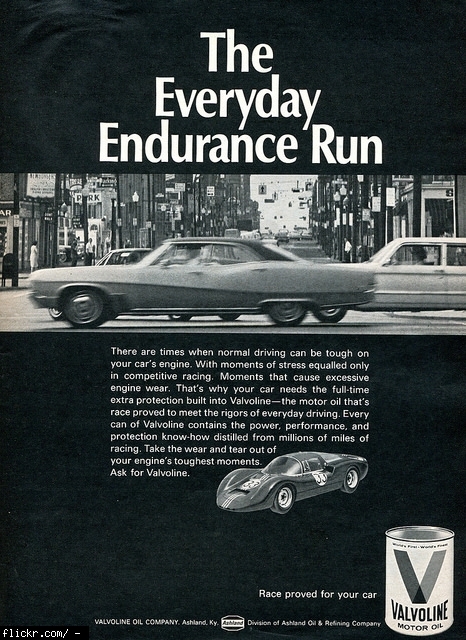 valvoline 100% been around the longer. first ever engine guarrentee. now nexgen same protection better for the envirment by reducing raw materials and still garenteed. think about it...very little marketing. you see a mobil one commertial every hour. 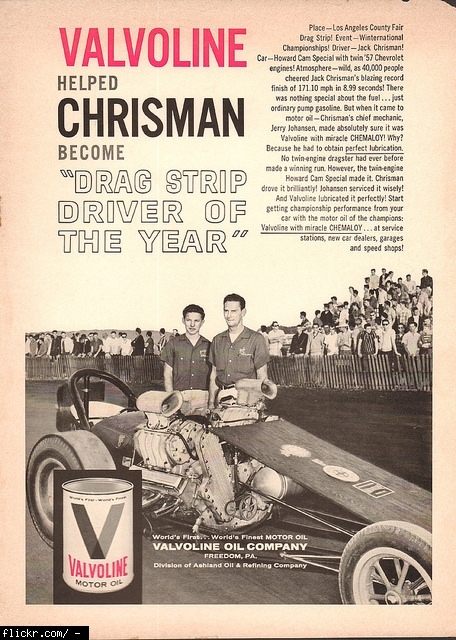 My step dad used Valvoline for over 50 years. I've used it for 20 and never had a problem. It's the only oil I will use!!!! Best protection, hands down. 100 years of proven protection. I began using Amsoil 11 years ago in my race car and then in our 6 family vehicles (large family). Although we had several blown race car engines, my crew did not attribute that to the oil. Amsoil oil and transmission fluid has worked well in my domestic vehicles: Ford and GMC cars and trucks. I also used it for 9 years in our Toyota and Honda/Acura SUVs and cars. I had engine seals go bad in 4 of the 5 Japanese cars after using Amsoil in each of those vehicles for at least 45,000 miles. In each case, the car dealer said they were surprised because leaky engine seal problems were rare with Honda or Toyota. Each time, the repair cost was about $1,200. I switched to Pennzoil in my current Acura and have not had any seal problems after 90,000 miles. Although the cars ran well on Amsoil engine oil and transmission fludi, it seems to deteriorate certain types/brands of engine oil seals which can be costly. . There is nothing better than AMSOIL Synthetic motor oils. I wont use anything else. Yes other oils are good, and will do you well, but there is nothing better than AMSOIL. I've used AMSOIL to test it in my cars. It is a good oil but not different from some of the most known oils I' ve tried over the years. Besides that all the tests that claim superiority of AMSOIL over the other oil brands are American tests made by Americans...kind of comedy! Been using Amsoil for years now. In my Harley and both vehicles. Cars run great. Change the oil every 16,000km, which is elimanating 2 oil changes a year. 25,000 mile filter is awsome. Using this I am saving over $400.00 a year including fuel savings. I am a Amsoil dealer as well, so if your in need go to www.pamperyourmotor.wboil.com. You can also call me to order. My website has all the info. Ug..all synthetic oil is top notch no matter what u argue...its the filters that can't keep up with the contaminants. Am soil, Mobil, Pennzoil, if u didn't know what you were putting in you would not know the differences you claim to see. Only AMSOIL “The First in Synthetics”® has offered 40-years of 25,000-Mile Synthetic Extended Oil Change Drain Interval Technology. The Highest Professional and Ethical Standards since 1972. Because the oil was capable of performing for extended oil change drain intervals, and it was the right thing to do for the consumer. The Choice is Yours. Who do you really want to trust your extended oil change drain intervals too? If AMSOIL didn’t work as stated for the past 40 years, you would see law suits from the FTC for false advertising and AMSOIL would be fined some big hefty fines for making such claims and pretty much go out of business. I am an engine builder by trade. This is the best oil that I have ever used. Redline is a close second. Brad Penn is great for break ins. Amsoil is a v.good syn. oil but it's hard to find. the only place i could find it is on the internet. Not as expensive as one thinks, do the math and see what it really cost per year to use AMSOIL, also look at the wholesale price, accually cheaper than some group 3 wantabe synthetics. Yes other synthetics make big claims their the best, it's funny you don't see any of the other leading brands including AMSOIL in their testing results, or putting a 25k or 35k drain interval on their bottle. Goes to show you who is the best. Best TRUE 100% synthetic in the industry, Period. You won't find a motor oil any better than AMSOIL. All will claim to be the best, but Amsoil can prove it. This is a great oil that has been around forever and is trusted by automakers and car dealers alike. 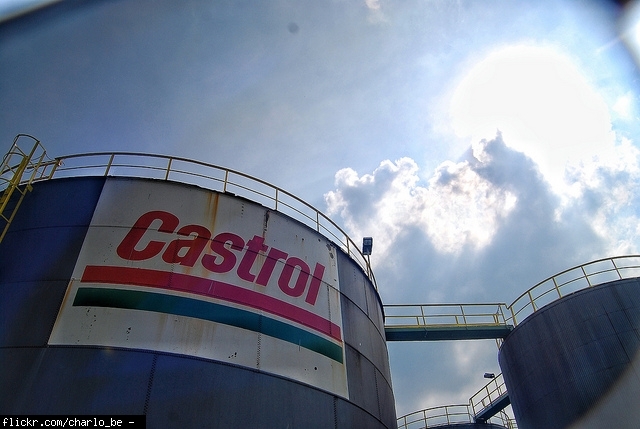 where is the castrol refinery in the us? It's british oil.. This is America. We have our own oil that is better than Castrol. I have used Castrol in two vehicles; an 86 S10 2.8l and my current Volvo T90 I6. Both engines had a lot of carbon build up. I have changed the Volvo to Mobile 1 and the buildup is decreasing. I have used Royal Purple and Amsoil in the past and had similar results as the Mobil 1. 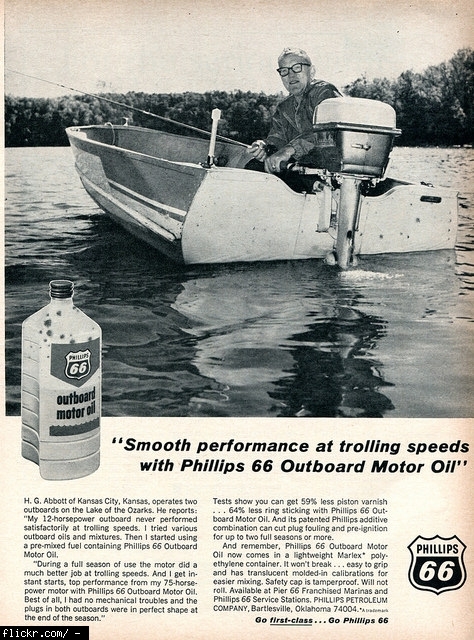 The best oil from the Castrol range I ever used was the Castrol Syntec 5W-50, the "Made in Canada" version. All of my cars used to really "fly" with that oil and there was no comparison to any other other oil I have ever tried. I Will Only Use CASTROL SynBlend & KENDALL GT-1 High Performance OIL In My 1989. I Hardly Have To Add A Quart. But WhatEver Is In Quaker State & Valvoline, My Car Eats That JUNK Up Every 500-600 Miles. Use Castrol Edge 5w-40 In my 2002 Audi A4 what the dealership uses and suggest.Also have used Castrol GTX in the past with no issues. I use castrol gtx 20w50 for my old mivec engine. engine perform superb compare to my previous local blended oil. 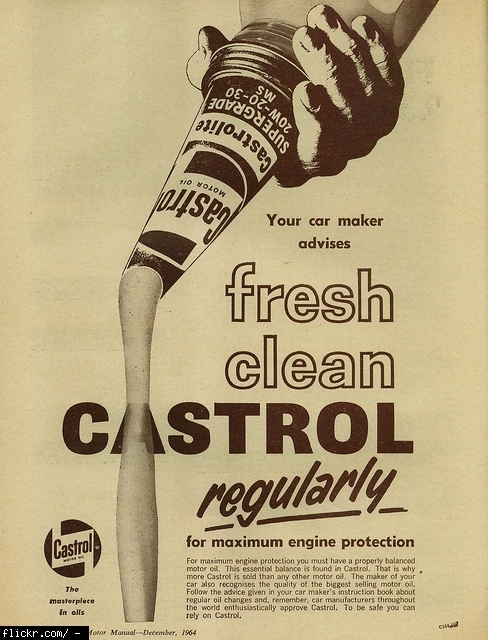 I used Castrol exclusively for years, until Valvoline's NextGen came out. Both great products though. I've used 5W 30 Castrol for over 30 years, using other brands, off and on throughout that period. Nothing that I have used seems to run as quietly or smoothly as Castrol. It seems to give the best fuel economy too. Of course I have only ran conventional oils, no synthetices, to this point. The best conv. oil out there "Castrol GTX"
Fantastic performance oil, Castrol Magnatec 5W-30 and I have trialed most of the leading brands. I run 6 cars from classic GTR-XU1 Torana's to modern V8 engines, only on Castrol oils. Another cost effective and solid oil that will keep your vehicle running for years. My 1997 Chevy Suburban has always used it and is still sludge free after 201720 miles. Never mind Valvoline, the Best i have seen and noticed a difference in my engine was from Royal Purple.......! Truly The Best oil know to Man Hands down..! 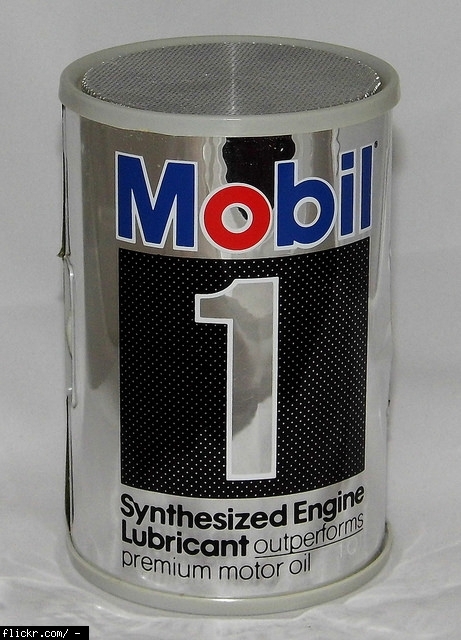 Mobil 1 doesn't even make a true synthetic oil anymore. You people who believe the advertising need to get out from in front of the tv. Mobil makes an average product. Pennzoil is better and costs less. If you want a true synthetic royal purple,red line,motul,Amsoil and G oil are the real deal. Use it in my jeep. My jeep seems to like it, runs smooth, the engine is quiet. Definetly using this for the rest of my life. yess petronas oil is great but hard to find, give it a try its awesome!!! Mobil/Exxon is the worst oil. Valvoline is MUCH better, and they offer a 50/50 oil now that's awesome! Great quality at a fair price! mobil's new super syn. is a good syn. at a good price. try it. I use 10w30 mobile high milage ...in a nut shell by far theee best oil u can BUY...!!! Amsoil's new OE oil beats Mobil 1 in performance but better yet in cost. $4 per quart if bought by the case. NWSynthethicMotorOil.com come and see the difference. You will not be sorry. used for subaru WRX, mitsubishi Lancer EVO, Nissan GTR, Acura NSX and Lexus LF-A. Royal Purple has Molybdenum Disulfide. This is corrosive under higher temperatures. I would not use this in my lawn mower...never have used it and never will. Amsoil surpasses all wear tests. We have used nothing but Royal Purple since day one and wound up with a 1/4 inch of thickened hardened sludge around the entire oil pan that eventually broke loose and plugged up the oil pump. I don't know what happened. We have been using Royal Purple for many years at our shop with no problems whatsoever. But now we're seeing this problem on several other vehicles. We contacted Royal Purple and they have yet to investigate this problem. So all I can say is be careful, it's not worth losing an engine if there happens to be a few bad batches out there. So you solved your fast oil break down because royal purple has a higher film strength than most other engine oils it's is the leader because of all their extensive research to produce the best product they had ran multiple cars and trucks on a dyno to get a base line of what kinds of power they are getting with the oil the other oil then flush all fluids and put in new royal purple engine oil transmission fluid and differential fluid all royal purple and ran them on the dyno again to get a base line with all the fluids changed they saw a big difference plus royal purple film strength is four times stronger then mobile1 witch means it will last longer wont break down as fast and can Handel Hugh revving import engines and high horse power muscle cars if you want more protection get royal purple if it wasn't good race car drivers would Not use it and neither would race car engine builders think about it it can with stand about 25,000 pound per square inch aka psi others can't touch that if you want more protection add a zinc additive so make your decision. Converted from regular to Synthetic, and I chose Royal purple after hearing all great reviews. It completely cleaned out my engine, and my Volvo XC70 gives me 38 mpg thanks to Royal Purple's high viscosity with protective additives that decrease wear and tear. It does the same thing for my Sister's rebuilt Volvo 760 Turbo. I would use no less than the best and the best is Royal Purple. who would run purple oil in there engine, not me. always a bad idea to put an "oil" in your engine if it has "dye" added to change the color. a red flag goes up here, thinkn about it. it is the oil the best oil i had a problem with my passat G60 when i used to push it with high rev the oil temp used to go up i have used every kind of very expensive oils nothing helped only with the royal purple i did solve the over heating oil problem. I don't recommend any oils that contain MOLY as a additive. Thats why R/P fails in test data so terrible. My Chrysler 300C 5.7L Hemi loves the Royal Purple treatment. I've tried most of the other brands in various cars, but I'm sold on Royal Purple. To get better performance, you'll need to spend a LOT more $$$. Amsoil only wish he it can be called Royal Purple. That's too bad because there is only one Royal Oil... which is Royal Purple. Another trusted brand that has been around forever and has proven itself effective. Awesome Motor Oil! Pennzoil saved my engine from getting locked from using Valvoline Oil 3 different times! Penzoil is fair proveded you never experience any extremes. Had a '70 VW bus (aircooled) and after an hour on the freeway with straight 40 wt Penz, if I let it drop to an idle, the guage would show zero pressure. I know I still had "some" pressure or I would have lost the engine. 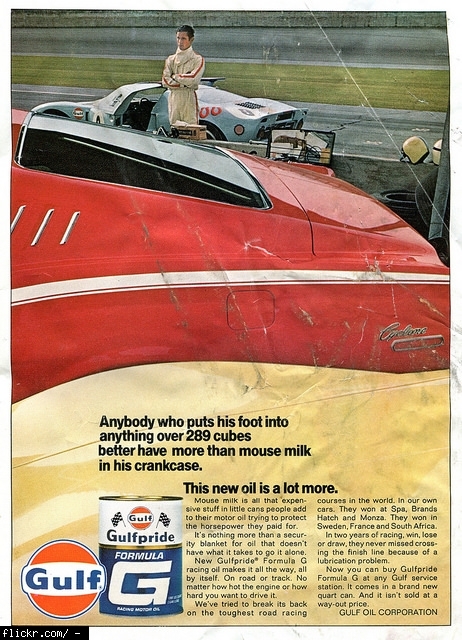 I switched to (at that time) Castrol and ALWAYS showed pressure regardless of load, rpm, ambient temp. If Penzoil gets hot, it looses viscostity. Period. This was years ago, and I know they have improved their additive package for better stability. Was in charge of fleet maintenance for large contractor. I spec'd Delo 400 for whole fleet. Boss wanted me to try Penz as it was cheaper. Did change with fresh Penz to line truck that was leaving out of town the next day. Driver lost the engine (full and clean) on the big hill leaving town. Said he watched the temp go up and the oil pressure go down, then it knocked and froze. Severe scoring in the cylinders when I took it apart. Lack of lubrication. Penz turns to water when it reaches extreme temps. 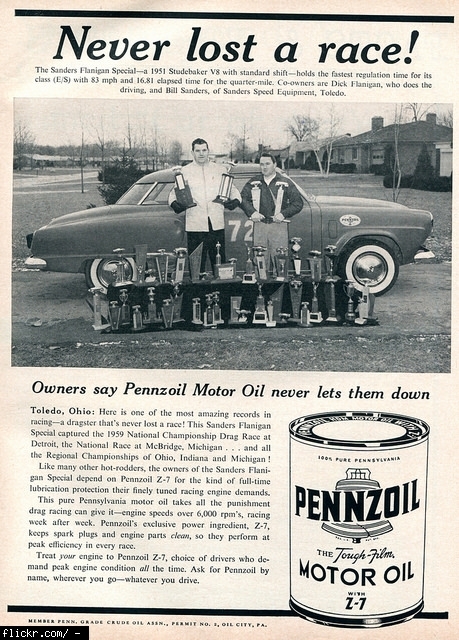 Pennzoil is the best conventional oil hands down. Pennzoil is great stuff my old engine loves it.!! Got over 315,000 miles on my 99 gmc 1500 and it's been a farm truck for most of it's life. Pennz is all that I've ever put in it and changed the oil every 4 thousand miles or so and it's still doing fine. 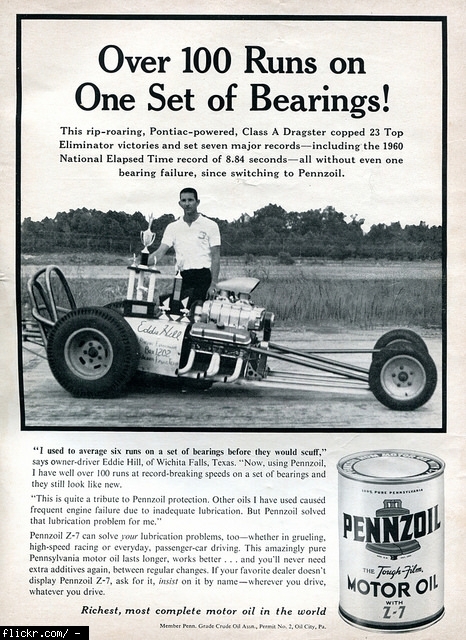 Well, I'll be honest as a mechanic and engin builder, unless Pennzoil changed there formula then it gums up engines. I tore a 350 down that used Pennzoil for about 10 years and it had low oil pressure. Probably due to the fact that the gum inside went from the lifter valley all the way to the bottom of the intake and the oil pan was the same way. I've used Pennzoil YB and Ultra in both my cars for the last year and there's been no problem. In fact Ultra made a noticeable drop in engine temperature in my Jeep. Gums up your valve covers, not for me. Have built, repaired, and operated my own vehicles for 40+ years.Have subjected some of them to severe service, such as hauling heavy loads of wood on dirt mountain roads in summer. Tried several brands in high-mileage engines and compared consumption. Best=Valvoline or Castrol, worst=Pennzoil. Runs through a high mileage engine like water when weather is hot. This sutff shouldn't even be called motor oil. It gums oup the motor & has more sludge biuld up than any other oil out there. Trash in a can. Won't even provide oil for 3rd party, non-biased testing. Garbage. Don't you mean rerefined oil? Amsoil is made from PAO, a chemical derived from the processing of ethylene, and is not necessarily "All-American" BradPenn is made from 100% Penn Grade Crude Oil refined in Bradford into baseoils, and blended into Bradford. It has long been known that parafin based crudes and especially Penn Grade light sweet crude offers the very best lubricating qualities money can buy at any price. Brad Penn is the old Kendall/Amalie refinery in Bradford PA. GOOD STUFF! Not a bad oil, but TORCO is the leading brand imo when it comes to race oils. The best racing oil out there but it's kinda hard to find. This oil is pumped out of Bradford Pennsylvania, true US 100% oil and has a High total base number & will not break down with race fuels. Great oil. Very popular with the Hot Rod Car guys as the Green Oil! They also have a great motorcycle oil. does this oil gum your motor up? False Statement on the only 100% American oil. What do you mean that its the only 100% American oil product on the market. Amsoil is 100% made in the USA and Proven the BEST. All other oils claim to be the Best but Amsoil can accually prove it. sorry i forget to say that polyol ester have many many times oil film strength than mineral oils , group III HC aynthetic oils and group VI oils for the same viscosity so when using 5w30 redline oil will give more film strength and more metal to metal protection than other higher viscosity like 5w40 , 5w50 synthetic oils . redline simply the best i will talk in physical not street talk every oil have Tec data sheet and important to know that the best oil have the high flash point to performe at high temp and the lower pour point to stil liquid to lubricate engine at cold start and have low noack ( evapouration lose) when i compare the tec data sheet for all oils i found redline have the higher flash point and the lower pour point also the lower evapouration amount also the higher viscosity index between other famous oils like ams oil , castrol, shell , royal purple ,mobil 1 , valvoline , motul . also its base from polyol ester the super base which use for jet engines more than 40 years the only base stock can handle very hifg temp and very hight RPM for very long time when other base stock like miniral or group III HC oil or poly alfa olyphin base stocks damaged under severe conditions in jet engines i talk about 20,000 RPM or more with very high temp the other advantage polyol ester is 0% sheer lose in viscosity after any time of use and not need viscosity improver to obtain multigrade oil other advantage for polyol ester its polar i mean its ( - ) and engine metal is ( + ) so its will attract to engine metal and not seperate at high load and temp many companies use ester in oils there is many ester types the best is polyol ester and redline use it so its the best in the world and not compare with other oil i may compare ams oil with mobil or castrol but redline out of compare its ideal lubricant ever in the world . My mom uses this in her Jaguar XKRR and would use nothing else. The mechanic works on her car is a high performance car expert, and knows good oils, and Redline is near the top of the list for being one of the best. IT keeps up with the high reving V8 engine, and has done a great job in making sure the engine lasts long. It's a great oil that ranks up with Amsoil, Vavoline, Royal Purple, and Mobil 1, a highly recomended oil. My boss has a high performance motor cycle and will only used Redline oil and nothing less. one of the worst top of the line syn. oils out there and it's not cheap to buy. Fantastic motor oil tryed and proven on the racetrack. Developed in France. First to develop Double-Ester Synthetic technology. Was using Honda motorcycle (full syn) in my GoldWing. Was starting to get some valve noise and it was suggested I try Motul. Dropped my engine temp 15 degrees on hot days, valve noise went away, and went from 34 mpg to 36 mpg. Tried a couple other syns (for motorcycle engines) and all resulted in the higher temp and valve noise returning. Back to Motul. 40K miles later and still seeing the benfits. Going to fill up race engine after brake in. Will use 20w60 Motul LeMans. Gearbox uses competitionFF, LSD diff uses special diff oil, brake oil BRF racing and for coolant MoCool. Other racers claims that Motul has dropped its quality and switches to Redline oils. I have been using Valvoline Synpower 5W40 in my Hi-performance Chevrolet 350 engine for the last 5 years with no problems. I switched to Motul X-CESS 5W40 about 2 years ago and have noticed a difference in the engine making horsepower and it staying cooler while driving on hot summer days. both oils are recommended by me as the engine runs very quiet no ticking sounds from either oil. Give Motul a try you might like the way your engine runs. From my NA ride to my current turbo charged engine... Motul have never disappoint! The best! it's a pure engine develop brand! from monograde to semi syn, fully syn to ester & double ester! All i have use, it's a perfect oil for far i'm using it on my ride, give more power, save fuel & cleaning for my internal engine as many mechanic saw with their real eyes! love this oil cheap and gives great protection. I use it in my plow truck which gets ran at high rpms and still holding strong. pretty sure havoline came out with 10w-30 oil first of the bunch of all oils an still dollar per dollar you can,t beat it if i was building a 25,000 dollar race engine i would still use it. used havoline oil ever since back in the 1970,s my friend was a engine builder had a business that produced sometimes 2000 remanufactored engines a month he always said that theres oils that cost more but they hadn,t prove that were any better. My dad swore by havoline . And I have used it in all my vehicles for 30 years and have had no problems it's all ill ever use.i think it's the best period.30 years of use for me and god only knows how many years my dad used it enough said. (Havoline) use it . Well, ya, it's a good industry leader world wide. I ran the 20W50 in summer months and 5W40 synthetic in winter months in the old 454 CID up north and it performed well. And 10W40 in the Buick while overseas and living down south and up in the midwest and 10W30 in the Cadillac still today. Back in the old API SG days. Can't complain. No engine break downs or sludge issues but I was a 3K mile oil change dude. Now I'm a once or twice a year oil change dude. Great for the price and is as good as the more expensive stuff. A quailty oil at a good price, i'm sold. Have seen the inside of 2-3 engines run all or most of their life on Havoline. All of them were older (60s-70s) V8s, all were coated internally with a thin, hard crust of sludge. I used to use Lucas motor oil, which is good, but when I switched to Amalie, my car feels like it has a new engine. More power throughout the RPM band, better mpg, and longer times between oil changes. Amalie makes one of the best oils in the world. You people choosing Quaker State over Amalie? Pennzoil? Come on. Amalie is second to none. Soon as Amalie does some decent advertising and gets some better distribution, it will kick Pennzoil and the others to the curb. Used Amalie since the 1960's when it was more popular than Pennzoil. I'll stick with it now. This motor oil brand is a proven and effective oil. Always used Valvoline but one of my cars which I have had for a couple years I decided to switch over. Within 600km. I have had to add over 6 liters of oil. It does not smoke or leak and did not use oil before. WILL NEVER USE AGAIN. My subaru had lost 2 connecting rod bearings.I used this oil and always changed every 3500 / 3800 miles! Motor had so much sludge in it i could'nt believe it! WILL NEVER USE AGAIN!!! Their new defy line is simply fantastic. Used oil analysis shows no wear using this oil. Often referred to as Quaker bake! Very true. It has parafin and other poor test data. I stopped using it in 1974. Easy to find but not that good. one of the worst engine oils to put into your engine, i knew someone that had to rebuild their engine cause they used this fool stuff. when He got into the engine he found a ton of sludge build up. he you could take your hand and put it into the engine and have it come back out with a hand ful of sludge whom wonder why that poor engine stop working and ran its last time. Total S.A. is a French multinational oil company and one of the six "Supermajor" oil companies in the world. I used Total Quartz 7000 and Quartz 9000 for years without any problems. All of my cars all these years run great. I've tried too many oils over the years and Total along with Valvoline are the most "honest" oils I have ever used..
Great synthetic oil with titanium additive it gives great performance! Kendall's groundbreaking ways continue today. In 2008, the exclusive Liquid Titanium protection additive was introduced into its oils, providing fuel savings and exceptional engine wear protection, reflected in the expression, "Long Live the Engine." I don't know what you drive but my 16 year Acura likes Kendall. I need to share to everyone, this is a great oil depends with other brands. 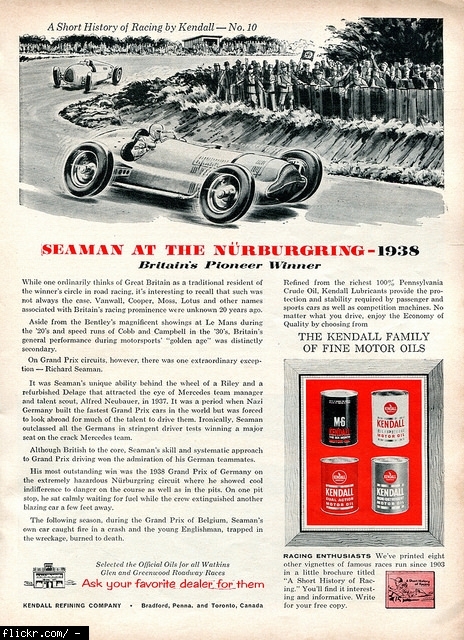 Kendall liquid titanium is great oil, fully support.. Sorry, but this oil is actually made by Amalie Motor Oil company. Plus Shell is a foreign brand. Not a bad oil, just a foreign company. I'd rather buy Amalie Diesel XLO oil. Thank you very much. I have used Rotella in my big trucks with Cummins engines as well as my Cummins powered Dodge Rams. Engines were kept clean. Fantastic oil. I have 2 Diesel Mechanics that service my Cummins 330. They do not know each other BUT both demand I run nothing but ROTELLA T if I want them to warrantee their. work! The T6 diesel oil is all my uncle runs in his truck with no problems, good oil. I work only on high reving engines that work under servere loads and heat and the only engine oil that can keep up with these conditions is shell. I have tried all the above montioned oils and non of them performs and can take the punch like shell does. Its totally a different technology all together.It uses Micro Lubrication Technology to treat the Metal Parts of your engine to reduce 95% of friction. There is no other oil on the market today that can come even close to the technology Polytron possesses. Polytron is the most advanced lubricant in the world. Unmatched performance that saves you $1000’s and gives you protection you need. High-Tech Lubricants that eliminate wear and extend service life of engines and equipment by 600 to 900 percent. The Ravensberger Schmierstoffvertrieb GmbH is now widely acknowledged as a global player in the lubricants market, and RAVENOL branded products are recognized not only for their high product reliability and quality, but also for the excellent service from Germany. the best motor oil , no sludge no rust , and low fuel consumption specially the new product 0W16 . Top performance oil especially Racing 10w60 good for durable racing. Have found there 15w40 Super Turbo Diesel to solve oil consumption problems my fleet of buses. I tried the Total Quartz 9000 Future for my camaro, it is extremely excellent, cool engine, very smooth, very clean. I love it. Everyone here says the oil they used is best but people should investigate more about the oil they are ranking as best. I have more and more regular customers who change to proficar when they come to my garage. Last year Proficar invited me to Germany and I went to visit the refinery. There, I was really impressed. The production standards are so sensative and tough that no wonder Proficar has such a high quality. They also support their customers better than any other brand. I Tried, Now I can confirm once you used you will be a fan of this engine oil. Proficar Engine Oil works well. Suggested brand to anywhere in UAE. One of Garage suggested me Profi and now I found something Excellent than earlier engine oil. Unique. I must say this is the pure Engine oil which allows to extend your wallet. Best Engine Oil I ever used in UAE. Best Oil Mileage ever. been using 10W-40 Evolution XT. Proven! No sludge formation and will guarantee you excellent results! Amazing performance. If you really cares your car. Then no double thoughts..!! Highly recommended. We have a got a huge community in UAE using Proficar Engine Oils. Produced by the biggest Petrochemicals in Turkey which is building new Mega Plant - going to be 5th of this kind in the world! I have been using Chevron 5w30 in my toyota sienna, which I bought new in 2005. I have over 203,000 miles on it now and it still runs great. I have no oil leaks either. I just change oil and oil filter about every 3000 miles. very good oil supreme wear protection makes havoline oil also dollar for dollar can,t be beat just try it time will prove it over 50yrs experience with them thank you chevron and havoline. Its used in my 2011 Sentra 2.0, which I'm averaging 31 mpg. In which EPA could only manage 27 mpg, driving for fun got me 28.5 mpg. Using Chevron gas and oil in this car has some extra change in my pocket. But its fuzzy logic to me. LM are the most popular engine oil company in Germany, with Castrol in second place. LM oils are the best in price vs performance terms. The LM 5/40 Synthoil High Tech is an amazing oil and as good as the more expensive Castrol Edge. Used Ravenol in both audi and MB with poor results. Switched to LM a year ago, and what a difference in performance,quiet idle and power. Recommend for all cars! This is a higher group powersport synthetic oil. I use in my motorcycle, runs very smooth & cool. Also very popular with snowmobilers. Amsoil has plenty of 5W-20. And superior quality and performance. 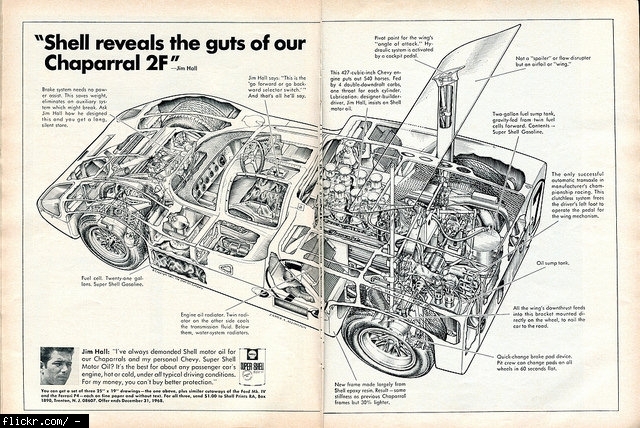 of course it is plentiful of 5w-20, its Ford's newly recommended weight. Has one of the better quality synthetics I've seen. Comes readily in 5w-20 see little stock of this weight in other brands. This motor oil is used by ford motor company and has seemed to be a good oil all around. good performance and more fuel efficiency..
Petronas Syntium 3000 fully sythetic grades in my country is 5w40, its great!!! very smooth.. Using the finest german technology producing the best Lubricants worldwide.. They produce the widest range of lubricants from luquid lubricanta to solid greases. I have been running Fuchs Titan full synthetic 5W 30 in my Subaru Impreza WRX 2.5 Turbo. Very quiet, very smooth and after 6 months, still looks very clean. Highly rated ! Used by so many manufacturers... "just the best"
Chalet Motor Oil is produced in Los Angeles, California, and is a high quality economical brand. They make many types of motor oils that cannot be beat in quality for the price. I have been using Chalet for over 15 years on several cars. Right now, I have used their 5W30 in my car for over 130,000 miles with much better results than other similar brands. Finding Chalet is hit and miss since they are not well distributed, but you should be able to find some in shops and gas stations in LA. If you need great motor oil for a great price, this is the oil for you. Chalet is a diamond in the rough. I was skeptical at first, but I am a believer after trying it. I checked their test data to compare to major brands, and its basically the same. The only difference is you pay a lot less for it than Mobil or any big brands. They make Subaru's synthetic oils -- very good stuff. My Honda car use this oil. Run like a Ferrari horse. High quality, high detergent, engine oil. 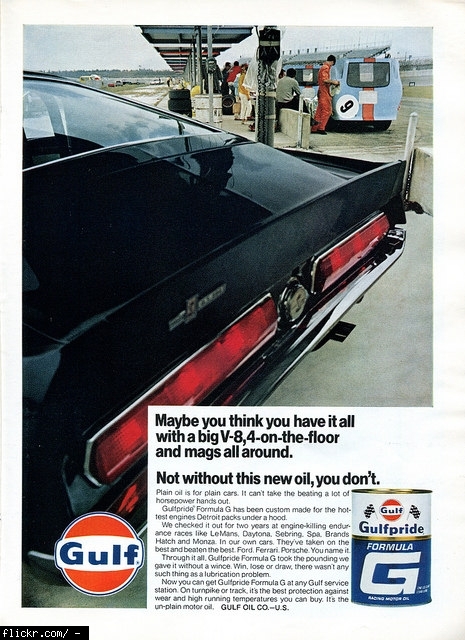 Mobil 1 is all advertising hype, My 6 litre GTO much prefers Castrol Magnatec 5W-30, it's an amazing performance difference that Mobil has proven to never deliver. No way, i own a 2013 Crv and had oil comsumption issues twice so far this year, switch it to Pennzoil Platinum 0W20 and solve my problem i RECOMMEND Pennzoil!!!!! the best lubricant line and most highly refined inthe world no other oil line can say this also has the widest range of product. Valvoline has Next Gen witch is the best rerefined oil out there. Best engine oil ever in this universe!!! Use the 5W-30, make my Civic sound like a truck. One of the ecologically worst oil companies, 2nd only to Mobil. (if you care about that stuff) It's enough to keep me from using it. Extending drains to save money. Liquid titanium provides the additional additive needed. Not to mention an increase in fuel economy. Kendall with Liquid Titanium is the best so far. Great, high detergent, low cost oil. Great quality at a good price. Most stores use this brand for their "house brand name" motor oil. The engine oil with Very High Viscosity Index and has passed all the tests and the top of all best engine oils. So far so good among other giants, having huge price list it is extremly affordable and 2nd to none. Very good synthetic oil for its low price. ZIC X7 5w-30 GF-5 has the best acceleration. Beats the rest and is cheaper in price . Best engine oil blended in virgin oil..
Used to brake in my dragster engine and others use it for dynoing right after engine assembly. easy cold start low deposite flux and sludge very good engine oil. but hard to get it. Helps car perform better. Used by NASCAR drivers like Clint Bowyer, Danica Patrick. Used it in my 2011 Tacoma 4.0 . No problems . Good performance . - Get The aproval from Mercedes Benz. - FASTRON GOLD SAE 5W-30 is formulated from synthetic base oil and selected additive with the highest performance level API Service Category; SN/CF. - meets the stringent OEM specifications such as Mercedes Benz, BMW, VW, and Porsche. Fastron's full synthetic... Its the best oil you can get! Any other big oil companies are using the same source from Fastron's country, Indonesia. Did you know that most top brand oil company get the supply of oil from fastron's country of origin? Yes... Its the most genuine and the best! Never complaint. A good motor oil brand/company. Has a great margin for combustion by-product neutralization, as acidity, sludge and varnish deposit. They just ran Williams Formula One, combined with the fuel, both from Petrobras. BioPreferred Advanced Full Synthetic Green Motor Oil is the cleanest and greenest solution for all gasoline engines requiring conventional or full synthetic motor oil, keeping pollutants out of the environments as well as reducing carbon emissions. As a German manufacturer of Motor Oils, high-performance Additives and Car Care products we uphold the outstanding quality standards of German automobile manufacturers that are acclaimed throughout the world. Manufacturing is done in accordance with ISO 14001-2009 and DIN EN ISO 9001:2008 requirements. A complete German quality assurance process guarantees a consistent high quality level of BIZOL products. The Communication Design Award has gone to new and innovative packaging for BIZOL motor oils. BIZOL is the first German motor oil manufacturer to receive such a prestigious award. Since 1955, the Red Dot Design Awards have been granted in almost all industries, but never in the motor oil category, until now. An international 24 member jury of design experts selected BIZOL among 7,096 entries from 49 countries. Agreed. I used all other oils before and this is the only one I have seen major improvements with. Sticking with Bizol forever. Blended only with Virgin base oil. Nothing wrong with Citgo oil. Supporting Venezuela (Citgo) or Middle East(All other brands). A middle of the road oil brand at a good price. Do your research, all oils are not the same. All Oils "are" not the same. All oil is the same. Been around for decades, one of the best quality motor oil your car will love! I always use it for my BMW. Good performance and relatively best price for quality. Premium Dutch oil. Serving a Huge range of automotive nautical industrial applications. Would never go for big names after I used Eurol. Ultimate performance at high temperatures. Great quality oil, always pure. Run Smooth and cheaper price. Raimol Oil,,What every engine needs..Run smoothly..with a cheaper price. Use it all the time!!! My car is flying with it!!! Love it love it love it!!!! The best!! Lubricantes SASH is a brand of lubricants that I tried with many engines and works really good. Developed in the Region of Gulf Middle East. One of the Best Formulations run in local areas and Far East.. Not yet launched in Western Regions but they say, the do special spot formulations for the required car and specifications and if the cars are upgraded they match the exact requirements of what the Mechanism needs. Totally handled by experts from different parts of the world. Fix your ethical issues first, then try to sell me oil, Marathon! Decent oil. Change it every 3k miles w/ filter. $10 for a complete home shop oil change. What more can you ask for? I would probably use a different oil for racing or continuous German Autobahn high speed cruising, but in the US with its ancient and slow speed limits this oil seems to do just fine. Russian oil is it? Luke oil? It is working well with my 2 wheeler too! Lukoil gave my SUV a smooth ride even through roughest tracks! This oil takes care of your car like a baby. I think I feel safer ... when Lukoil is in our car. Use arrows to rank one item in Best Motor Oil Brands vs another.